Travelocity is having a New Years sale where you can book a hotel for New Years and save up to 40%! No promo code required. Click to view hotels included in this promotion. Book by October 31st 2018 and enter this coupon at checkout to save $150 off of flight & hotel packages. Must spend at least $500 and stay at least 2 nights, travel must be before December 31st, 2018. Another promo code for discounts on flight & hotel bundles. Must spend at least $500 and stay at least 2 nights, travel must be before December 31st, 2018. Try this one if the above codes work. Book by October 31st 2018 and use this promo code to take $50 off of vacation packages. Must spend at least $500 and stay at least 2 nights, travel must be before December 31st, 2018. Download the free mobile app and use this promo code at checkout to save 15% on your first purchase! When booking a hotel, enter this code at checkout to take 10% off of your reservation. Valid for select hotels, must book by September 30th 2018 for travel by December 31st 2018. Must book by September 30th for travel by December 31st, 2018. Valid for stand-alone bookings only, can not be applied to vacation packages. Must book by October 7th, 2018. Use this coupon to get $25 off of a hotel reservation of at least $250. Enter this promo code to take $10 off of a booking of at least $100. Must book by October 7th for travel before December 31st, 2018. Valid for hotel bookings only, can not be used towards packages. Take $30 off when you book a hotel for at least $300 and use this coupon. Must book by October 7th, valid at participating hotels only. Use this promo code to take $75 off of vacation packages of $750 or more. Not valid for Las Vegas, expires on September 30th, 2018 and travel must be before December 31st 2018. Use this coupon to save $150 on packages, must book by September 30th 2018 for travel before March 31st 2019. Hotels discounted by up to 40% for 24 hours only! Travelocity has 24 hour deals on hotel rooms where you can find rooms for less than $99 a night! No promo code needed, browse Travelocity's selection of flight & hotel deals for less than $400. Book your Carnival cruise early through Travelocity and recieve the early saver rate plus two complimentary category upgrades. Book by October 31st 2018, no promo code needed. Limited time offer! Book a Travelocity Celebrity Cruise by October 31st to get 50% off the second guest. No coupon necessary. Flights starting at just $51! Unbelievable sales on flights from Travelocity! You won't need a promo code for the discounted pricing. Black Friday Deal: Save an Extra 15% off Select Hotels! Use this promo code anytime between now and November 27th and you'll save an extra 15% off select hotels. Frontier Airlines flights for as low as $19! Outstanding prices on flights from Frontier Airlines! No code necessary. Flights and hotels at incredible discounts of up to 40% off for 24 hours only. Offers change daily. Reserve your car through Travelocity for special rental rates and discounts. Browse the selection of featured hotels to save up to 40% on the regular rate. Guaranteed lowest rates on hotels! Travelocity guarantees that they will have the lowest prices on hotels online! Up to 70% off of featured hotels! Nightly rates at up to 70% off of the regular price! Best rates on Car Rentals! You know you are getting the best price on car rentals when you reserve through Travelocity. No promo code needed, Travelocity has the best deals on hotels in New York! Top Deals on Las Vegas Vacations! If you find a lower price on a flight or hotel than the one listed on Travelocity they will match it, guaranteed. This promo code will get you 10% off of your hotel booking, must book by August 12, 2018 for travel by December 31st, 2018. 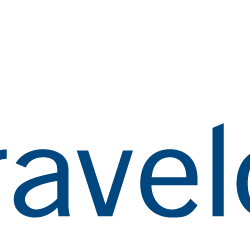 Travelocity was founded in 1996 as a joint venture between Sabre Holdings and Worldview System Corp following the need to provide electronic reservation services to travelers. At the time of the merger, Sabre was already an established travel reservation agency and therefore offered online reservation systems whereas worldview provided relevant information to the potential travelers on the website. Therefore, Travelocity was mainly meant to offer an online travel database that could manage travelers’ bookings and reservation while still providing relevant information to potential clients about their desired destinations. Such information includes the hotel reviews, restaurant recommendations, maps and relevant photos, weather reports, and entertainment available at a given destination. In its first few months in business, Travelocity had 144,000 registered clients and recorded 1.2 million visits. Its popularity grew further when it incorporated additional features which include car rental services and vacation packages which enhanced its clients travel experience. Since 1996, Travelocity has undergone a series of mergers and acquisition by various companies. Some key mergers and partnerships include its partnership with American Airlines in 1999 which enhanced its popularity and a merger with preview Travel in 2000 that led to Travelocity becoming a public company. This is because Preview Travel itself was a public company. However, despite Travelocity being separated from Sabre, its parent company, Sabre Corporation still retained a 70% ownership in Travelocity. Travelocity was later sold to Expedia by Sabre Corporation in 2015. Since then, Travelocity website is owned by Expedia Group. It is ranked among the top online travel agencies in the world and has its headquarters in Southlake Texas. With Travelocity, you do not only get access and suggestions to amazing travel destinations but also benefit from a variety of coupons and promotional codes which you can easily redeem for travel discounts. The applicable discount will automatically reflect in your order summary given that the coupon code was legit and had not expired. Travelocity aims to serve both as a travel companion and insider for their clients. They are dedicated to offering around the clock services and that’s why they offer 24/7 customer care services to promptly address their customers concerns, consultations, and complaints. Travelocity customer service Tel: 1 888 872 8356 (people within US) and Tel: 1 210 477 1089 (outside US). In an event that you change your mind or make a mistake in your hotel or flight bookings, Travelocity provides that you cancel your flight within 24 hours for you to receive a total refund of your money. Any cancellations after 24 hours are not eligible for a total refund but instead a travel credit. For hotel booking, Travelocity allows you to make cancellations any time until 3-days prior to your stay at no cancellation fee. Also, Travelocity promises to refund you the difference in prices if you find a car hire, cruise and flight charges that are lower than the rates offered by Travelocity within 24 hours. For hotels, this offer period extends up to the day before your stay. More importantly, they can transfer you to a comparable hotel at no additional charges if the initial hotel room does not match the details provided on their website. Is your reserved hotel overbooked? Is your rental car not suitable enough? Worry no more. Travelocity will make arrangements with your travel supplier to make suitable adjustments to better your travel experience at no extra cost. In order to be eligible for coupons, all travels and bookings should be completed in accordance with the booked itinerary. if you are eligible for Travelocity coupons, which is usually a fifty dollar-coupon, it will be awarded to your account within 4 weeks. Truly, Travelocity is your ideal travel agency if you wish to explore and enjoy what the world has to offer at a reasonable price.